Grade 7 and 8 students from Ascension, St. Andrew, St. Mary, Our Lady of Victory, St. Francis of Assisi and Queen of Heaven​ Catholic Elementary Schools recently participated in the Skills Ontario Cardboard Boat Race and Video Challenge. For over 20 years, Skills Ontario​ has promoted the skilled trades and technologies, and has hosted Cardboard Boat Races across Ontario. With the support of their teachers, students worked collaboratively throughout the process, creating design plans, gathering materials and planning how to best utilize each individual’s skill set to help achieve their end goal. 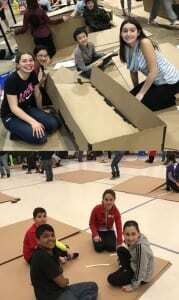 Using math, creative thinking, problem solving and hands on building skills, students were able to create two unique and effective boats. 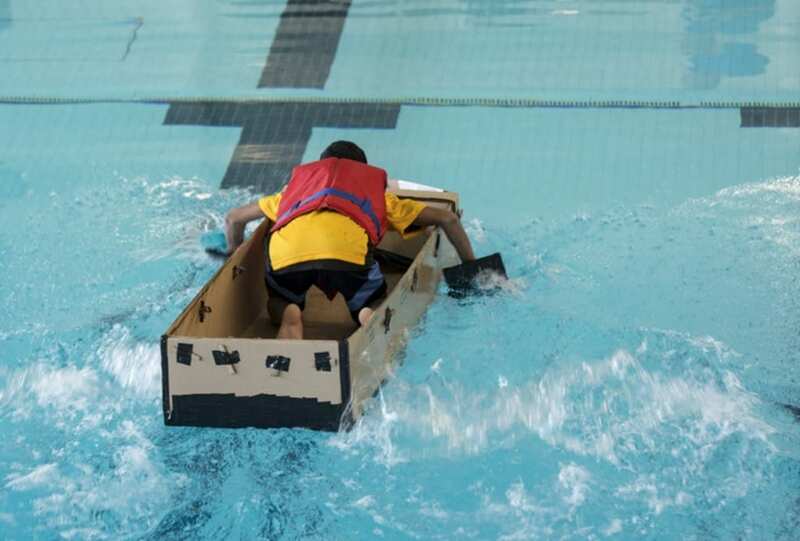 The event challenged students to create cardboard boats that could outperform other teams in both speed and weight competitions when placed in the water. The two student video teams from Ascension Catholic Elementary School were also able to showcase a highlight reel of the performances and the creation of the cardboard boats. Action shots were recorded from various camera angles and students were able to incorporate their artistic abilities and techniques to document the day. Congratulations to all students and many thanks to our HCDSB staff for their dedication and support for Pathways and Student Success​initiatives!